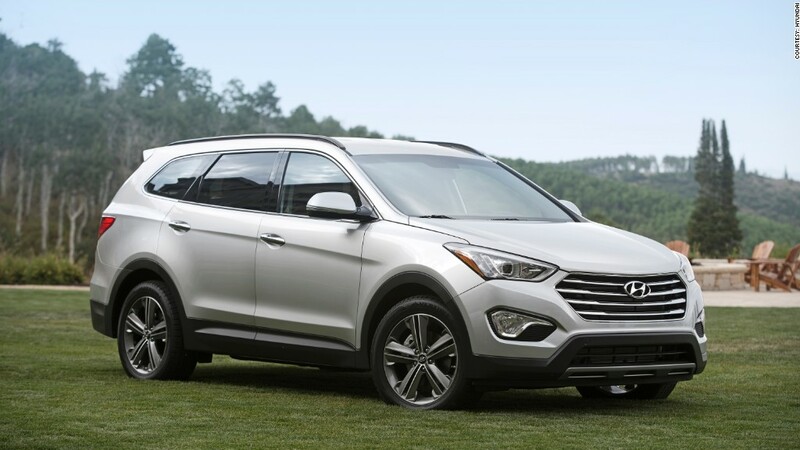 After an adjustment to reflect proper testing procedures, the EPA estimated highway fuel economy of a Hyundai Santa Fe Sport will drop from 28 to 26 miles per gallon. Korean automakers Hyundai and Kia overstated the fuel economy of many of their models, the U.S. Environmental Protection Agency announced Friday. 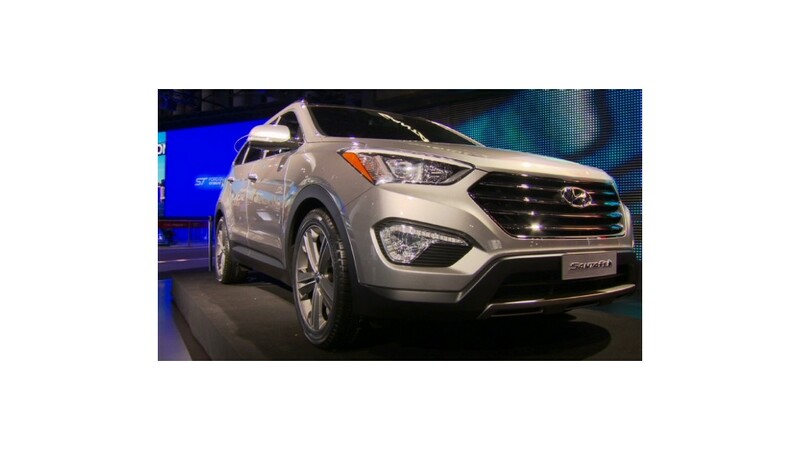 In response, Hyundai and Kia said they will pay owners for additional fuel costs associated with mileage difference. Meanwhile, the EPA will also post new lower fuel economy figures for many Hyundai and Kia models on its website, fueleconomy.gov, and new window stickers will be printed for cars still on dealer lots. Mileage figures on most labels will be lowered by one or two miles per gallon, according to the EPA. The discrepancies involve about 900,000 Hyundai and Kia vehicles already on the road. The largest drop will be for the Kia Soul. Its highway fuel economy estimate will be lowered by six miles per gallon, taking it down to 29 mpg. Two of the automakers' most popular models, the Hyundai Sonata and Kia Optima mid-size sedans, are not involved. Fuel economy for the Hyundai Elantra, a compact model that was named Car of the Year at last year's Detroit Auto Show, will be reduced by one mile per gallon. The fuel economy figures shown on automobile window stickers are usually based on testing done by the automakers themselves according to a strict laboratory testing procedure dictated by the EPA. The EPA then tests about 15% of all models itself to ensure automakers are performing the tests properly and reporting accurate results. While those audits occasionally result in fuel economy adjustments for a vehicle, this is the first time any automaker has shown such a consistent overstatement in its mileage results, according to the EPA. Hyundai and Kia say the problem was an error involving a particularly complex part of the testing procedure. Hyundai and Kia are owned by the same South Korean parent company, Hyundai Motor Group. The two brands operate independently in the United States, but fuel testing is done jointly at a laboratory in Korea. To make up the problem, the automakers have agreed to issue debit cards to owners of models that were sold with overstated mileage figures. Vehicle owners will be able to take their car or SUV to a dealership to have the odometer checked and the number of miles driven recorded. Owners will then receive a debit card based on the miles driven and the average local price of gasoline, plus an additional 15%. Owners can have their odometers checked and get a debit as often as they like as long as they own the car. Owners who have already sold their Hyundai or Kia vehicle will be able to receive a single debit card based on the mileage recorded on the car's bill of sale. Information about the reimbursement program is available on two Web sites, hyundaimpginfo.com and kiampginfo.com.